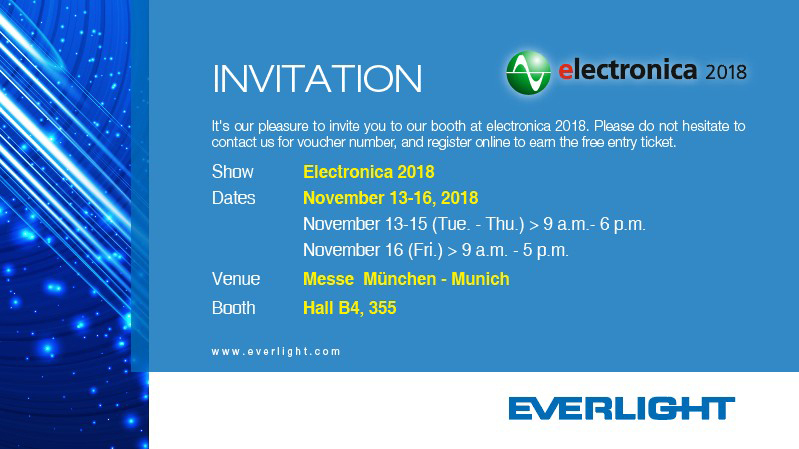 Visit our Everlight booth 355 in Hall B4 from November 13th to 16th...Click here to read more. Visit the Everlight booth S305 from October 9th to 10th...Click here to read more. 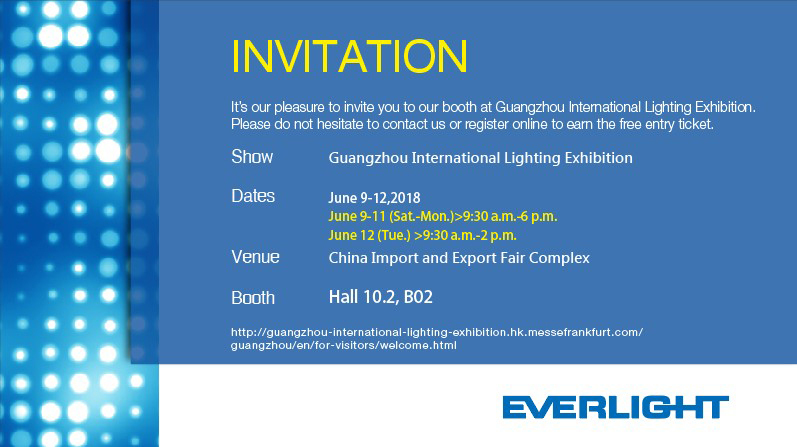 Visit the Everlight booth B02 in Hall from June 9th to 12th...Click here to read more. 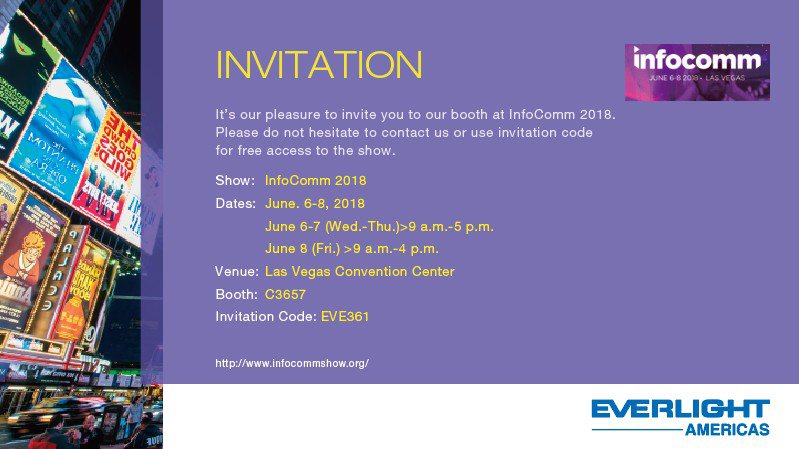 Visit the Everlight booth C3657 from June 6th to 8th...Click here to read more. 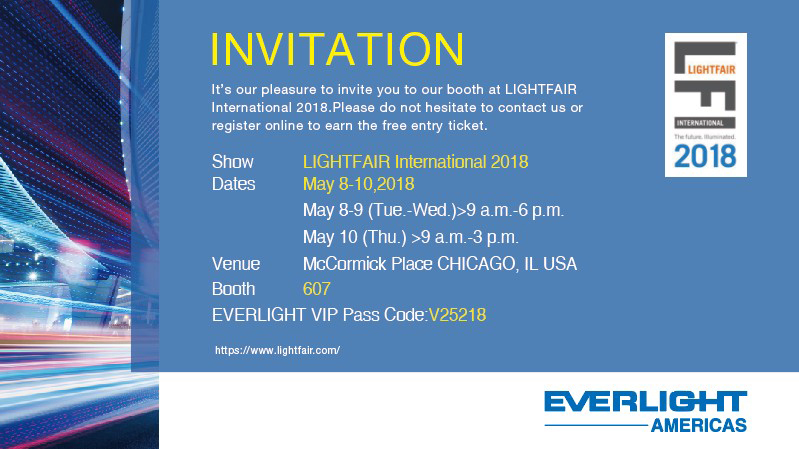 Visit the Everlight booth 607 from May 8th to 10th...Click here to read more. Visit our booth (Hall 6.2/ A40) at Frankfurt Germany from March 18th to 23rd...Click here to read more. EVERLIGHT ELECTRONICS CO., LTD. 【TSE:2393】will be at the Integrated Systems Europe exhibition in Amsterdam from Feb 6th to 9th at Hall 14 booth C200. We are looking forward to your visit Click here to read more. EVERLIGHT ELECTRONICS CO., LTD. 【TSE:2393】 is participating as sponsor of the workshop and Mr Shawn Li, Chief Lighting Source Development Department, will speak on January 31st about: “Next Generation automotive Ambient light” Click here to read more. Shulin, New Taipei City – Oct 2, 2017 – EVERLIGHT ELECTRONICS CO., LTD. 【TSE:2393】, a leading player in the global LED and optoelectronics industry, devoted to the development of the domestic and foreign markets, will attend CEATEC...Click here to read more.